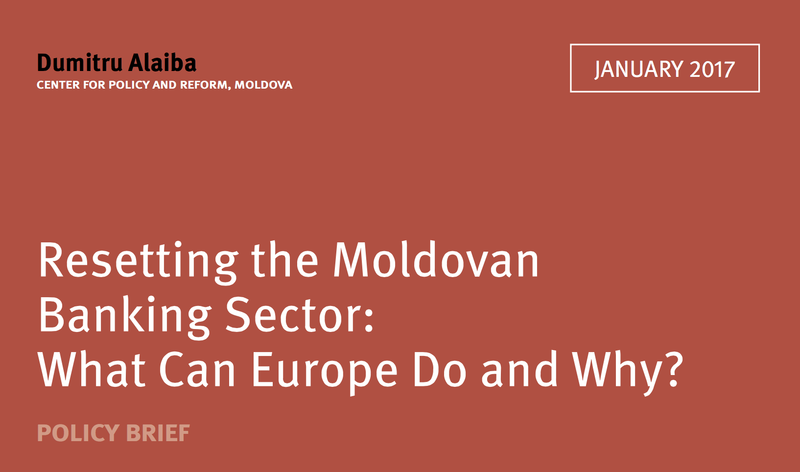 In December 2016, I finished a policy brief on the financial crimes that made Moldova famous worldwide – the theft of one billion USD from the National Bank reserves, and the laundering of over 20 billion USD by using Moldova’s and EU’s financial systems. I am publishing it below. The laundered 20 billion USD and the stolen billion USD are the EU’s problem. More than you would expect. One billion USD is comparable to the EU’s financial support for Moldova in the last ten years, financed by EU taxpayer money, which means EU is, at least indirectly, financing this financial gap, while corruption in Moldova flourishes. Most part of the 22 billion USD laundered, ended up in EU banks. Dirty money tends to behave in a dirty way, corrupting and corroding the system from the inside. It distorts markets, affects competition and corrupts people. It may take the shape of a small hotel owner in Germany being thrown out of business by a new flashy hotel financed from cheap, stolen money, that is open just across the street. Or, when stolen money is used to buy real estate, it may drive property prices up in certain regions, to an extent to which prudent investors and honest individuals cannot afford it. We can imagine multiple examples when honest individuals, their job or their business, are affected by unfair competition from dirty money. And these are only the optimistic scenarios. What if not all this money is used for private investments, yachts, villas or other private interests? What if certain anti-Western news outlets, online portals or NGOs get a small slice of the pie? For instance, The Zmiana, a pro-Russian political party in Poland that seems to have got funds from the laundered money. Since I finished the paper, this argument was backed up by the OCCRP investigation. After three years of inaction, it is clear that the Moldovan authorities are not interested in investigating these crimes. Since the early 2016 the Moldovan government representatives have avoided, downplayed and sometimes ridiculed the subject, hoping it will be forgotten. All communication on the subject now seems to be handed over to the National Bank of Moldova, to keep politics, and politicians, out of it. I am convinced that any honest, responsible politician would treat this subject as a matter of principle and keep it high on the political agenda – the whole country was robbed of 15% of its GDP. The authorities have never taken seriously the devastating effects of these crimes for the economy, society, politics, justice, and Moldova’s image and credibility (while there are many consequences, I listed a few here). What we see is a communication strategy designed to make us forget. To get a credible investigation we would need international action. Given that both Moldova’s and EU’s financial systems were used for money laundering, the EU is in a unique position to demand the enactment of Article 18 of the EU-Moldova Association Agreement to open an international investigation and asset recovery task force. Article 18 is exactly referring to cases like this. Every EU taxpayer must demand an investigation on these crimes. This operation was possible only because certain institutions and people within those institutions, at different hierarchy levels, were supposed to act, but did not. Only because each link in this chain malfunctioned, the operation was successful. It would have taken a single whistleblower to prevent this. Everybody stayed quiet for years. It is time to talk about a sanctions’ list. We should see there the politicians, who kept regulatory authorities toothless and captive; public servants, who were supposed to obey the law, but preferred to obey illegal orders from superiors; businessmen and their businesses who were indispensable for the operation. For instance, I do not understand how it is possible that Moldindconbank, the central piece in the laundromat, is not in any sanctions’ list and still operates internationally. I am in no way advocating to stop the EU aid (as some really unfriendly people have implied occasionally about me). Without aid money this country will further sink into chaos, poverty and state capture. What will improve the life of Moldovans is funds provided with very strict oversight and very harsh, punctual and measurable conditionalities. Otherwise, the money will only feed corruption. The present Moldovan authorities are not to be trusted. Credible opinion polls giving them single-digit ratings, speak for themselves. This is why, every cent disbursed must be checked, double checked, and triple checked. This is the only way to make sure the aid money is spent to help the Moldovan people, not the corrupt, nominally pro-european politicians. It is not easy – to watch your government day and night, but there is no other way with a government that only waits for the perfect moment when no one is looking to commit the next abuse. I am publishing the policy brief now, because politically affiliated media is now trying to “review” the amount stolen, emphasizing that only 600 million USD was stolen, instead of one billion. We have seen similar attempts in as early as 2015, so it is not the first time. Presumably, Kroll looks into what happened in the three failed commercial banks, and does not look at the National Bank reserves. 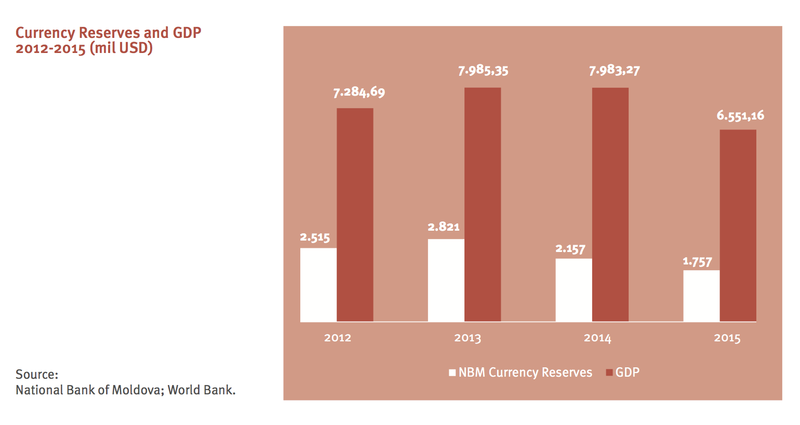 While the exact USD amount stolen from three banks is relative (given that it was denominated in Moldovan Lei and therefore depends which exchange rate is applied), we must not forget the actual magnitude of the theft – the National Bank reserves were drained by over one billion USD. We must not forget that, the real theft for which the Moldovans will be paying next 25 years is not from the three banks – this was a banking fraud where investors in those banks had to suffer. The real theft from the public money was the one billion USD from the National Bank reserves. So, to cover up a bank theft of 600 million USD, our authorities needed almost double. Over one billion USD from the National Bank currency reserves was taken to “bail out” the three failing banks that were qualified as “systemic” (although at least two of them were not even close). A bailout should be given to save the bank. In Moldova’s case they bailed the banks out, gave them one billion instead of 600 millions, but the banks still collapsed. How is this possible? Previous: Previous post: Haideți să lansăm o cruciadă împotriva trollilor și postacilor. Next: Next post: Lui Andrian Candu. Scrisoare.